"There's a place in the world for silly books, and this one fits there crisply." "...hey trust us. 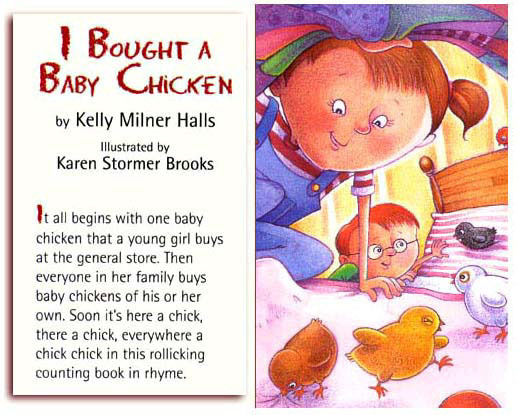 Just look for Kelly Milner Halls' I BOUGHT A BABY CHICKEN...and discover the pleasures of a really satisfying read." "There are far too many counting books, but this one delights and does the job." 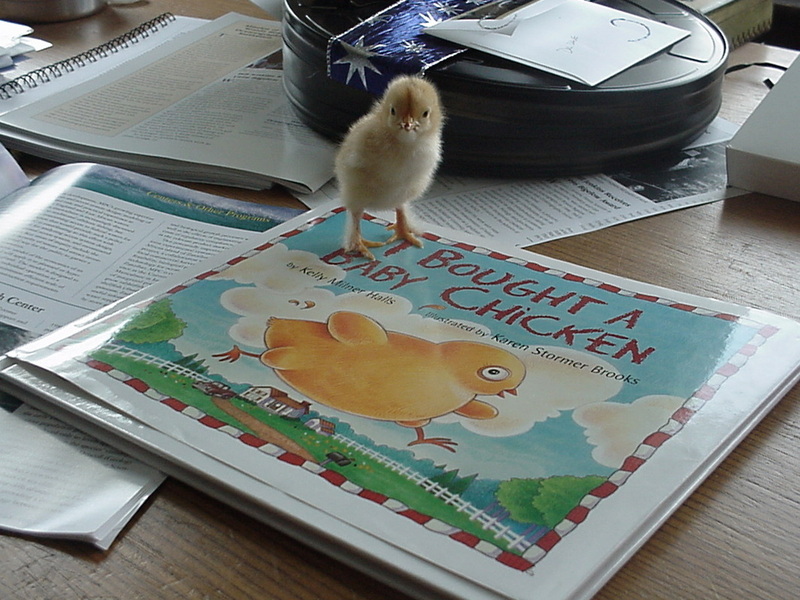 "I Bought a Baby Chicken" is a cute story and a subtle counting book. Karen Stormer Brooks' google-eyed illustrations are as silly as the story."